Lighting is the essence of any kind of photography. The disciplines required to light a subject underwater however differ greatly to land photography. 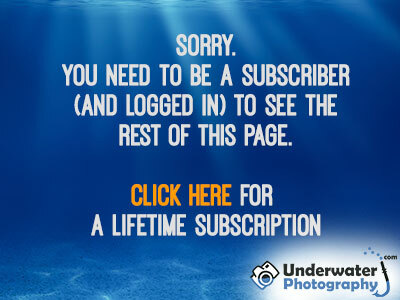 For the underwater photographer, the biggest problem is the medium in which we are working - water. It not only tries to creep into our equipment, but also absorbs light like a sponge, muting colors and reducing contrastthe difference in desity between parts of an image. High contrast for example denotes larger differences with blacker blacks and whiter whites.. Even in the clearest waters, light is dramatically reduced in proportion to the distance it travels.